Procrastination can be a real hurdle on the road towards achieving our goals in life due to many outside factors. Often when we could be spending our time wisely on accomplishing important things, we might end up using a lot of that time browsing the internet or chatting and texting away on our mobile and basically doing nothing productive at all. But there’s also a misconception regarding productivity. Many people think that just by working harder or putting in more hours, that they are being productive. Essentially this is true but there is also the matter of being productive in a way where you are improving your life. That means building relationships, enhancing your career, etc. 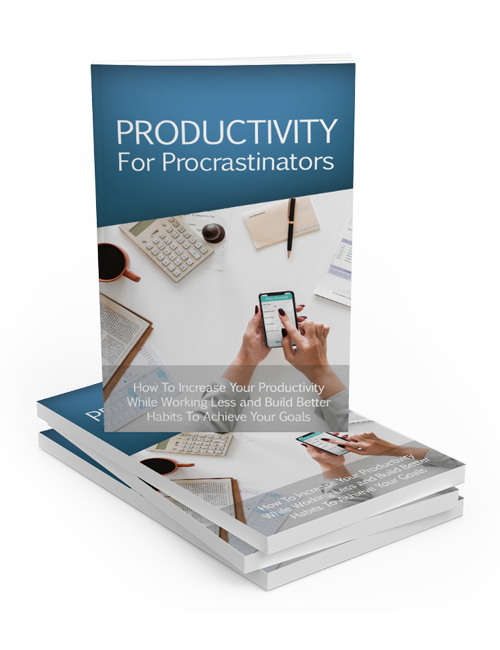 In this course, you will learn how to end your procrastination issues and improve your productivity overall. You’ll discover real and proven techniques in ending your bad habits of procrastination, planning out your goals and working towards them, creating to-do lists so you can plan and track your progress so you’re staying on course, eliminating distractions around you which are interfering with your focus and your goals, and being able to say ‘no’ to people who are just taking up your time and adding nothing of value to your life. You’ll also learn how to prioritize your work so that the most important things take precedence, realize how to effectively manage your time and much more. You can also get the Productivity For Procrastinators videos with this guide. Hit the download button now.